I’ve been having a really hard time these past couple weeks: not sleeping well, not entirely focused, etc. I miss him, and although this isn’t the longest we’ve been apart before or will be in the future, it’s still hard. I was thinking this morning that there are two main reasons why this time spent so far away from Ben has been so tough. First, we don’t know how long it will be until the situation is resolved. Almost a year ago, my monitor and chain of command already knew that I wanted to be stationed in Okinawa, and that I was going to want accompanied orders with my husband. In July, when I was getting ready to leave, people at my old duty station and my new command knew about our situation. In September and October, we were waiting for the tour conversion to go through while watching the calendar to see if it would happen before Ben had to leave. Now, two weeks into November, we haven’t heard anything about progress being made, or when we might expect resolution. Ben is in a position of not being able to take a job, sign a lease, or even get a US cell phone back home in Washington because he doesn’t know if he’ll have to break a contract early to come back to live in Japan. We’re wary of him coming back to Japan until we have a definite date because we don’t want to have to deal with the 90-day passport window if the resolution is still months off. Second, and more significantly, I feel like I’ve let him down and am failing in my responsibilities as a husband. When I married Ben, I promised him (and his family) that I would always care and provide for him. Although I’m doing everything I can to provide a home and good life for him, nothing seems to be working. That’s the worst part: I feel helpless. Patience is a virtue, but waiting is just frustration. I feel like we’ve come so far, but all we can do now is wait. In military planning, we say that ‘hope’ is not a course of action. I’m not sure what other options are open to us at this point. I need to have faith that a resolution is coming. I will continue to believe that the reason it’s taking so long is not that people are trying to stand in the way, but that people are doing the hard work to create a lasting solution that is truly the right one. After all, ‘no’ is very easy, and if that were the answer, we would have heard months ago, right? We’re strong, though. In our lives–especially in the past few years, gay people and our families have been through a lot, and we will get through this, too. Things are getting better and it’s important to keep an eye on where we’ve been, even while still fighting for equality. 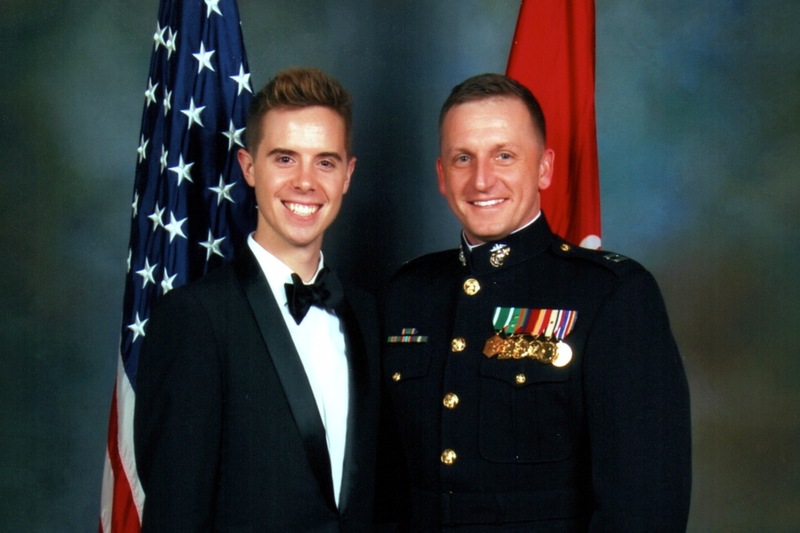 Just looking at Facebook today on Veterans Day, I see profile pictures of hundreds of LGBT service members and veterans in their uniforms who, until very recently, couldn’t publicly acknowledge their true selves. Even that is farther than I thought we would be by now. But we’re still here, we’re still working, and we will prevail in the fight for equality. The next step on the road towards equality will be different for everyone, but for me it’s having Ben–my husband, partner, and companion in life–by my side again. Can I help that I want him back now? Perhaps you are having to deal with TWO bureaucracies that are the cause of the delay. Hopefully the one in USA is doing its best in your behalf under the relatively new legislation. The one in Japan, it seems, is the unknown factor where intercommunication is necessary to provide clarification that will settle the situation there. This doesn’t mean that the situation for you both is lost as I feel you must know. But the frustration takes its toll in many ways. If this is the case, all of us who wish you the best want to send a word of encouragement by believing in and trusting that your relationship has importance for all of us. Thinking of you both and the day we truly will be equal and proud. Matthew, I feel for you and Ben. This mess gives a new dimension to the military policy of “hurry up and wait.” Every member of my family who ever spent any time in the military – and we’ve hit every one except the Coast Guard – has said that is the only one that is truly universal. For what good it may or may not do, you can add me to the list of naggers – by now Senator McCaskill either thinks I should be medicated, or she’s hiding under her desk. LOL Either way, she’ll hear from me about this. Hi Matthew – Just found your blog and I must say it resonates. Lots of Japan experience here over the years – mostly through my partner of 20 years. We’re out of NYC originally and now live in Hong Kong – but shuttle back and forth to Tokyo. I may be facing a similar situation very soon. Has Ben considered enrolling in Japanese language school? He could get a 2 year long study visa. You could arrange for private lessons and even if he isn’t any good at them, he can simply stumble along as best he can until your tour is over. Next Next post: Why don’t we cut military music?